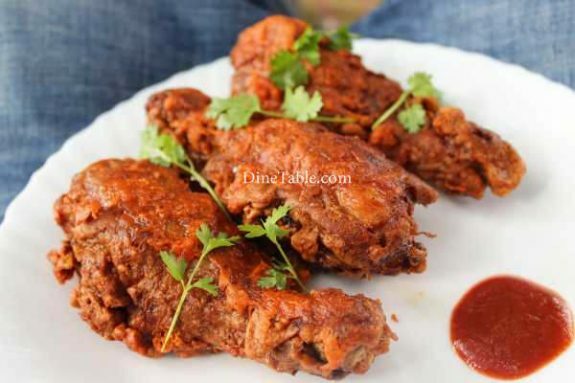 Chicken Leg Fry is a simple, tasty and spicy style of chicken fry. Chicken legs can be prepared in a number of ways poached, grilled, sauteed, pan-fried, roasted or even baked and cook with milk. 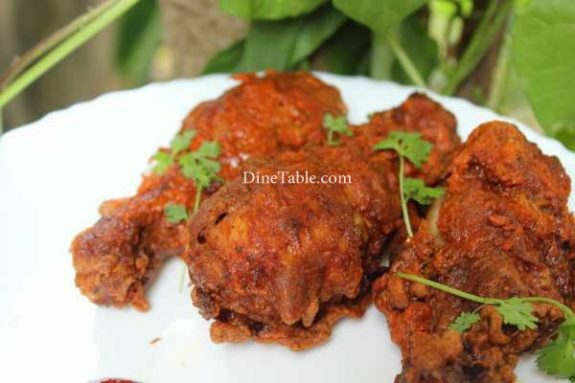 Here Chicken legs are marinated in a flavorsome paste and then fried. 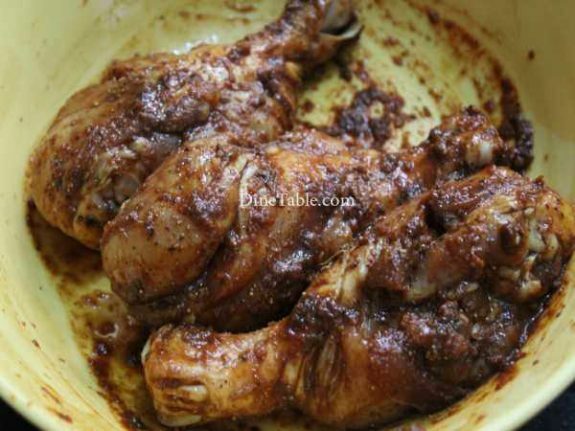 Chicken legs cook faster than other chicken parts and are easy to make at home. 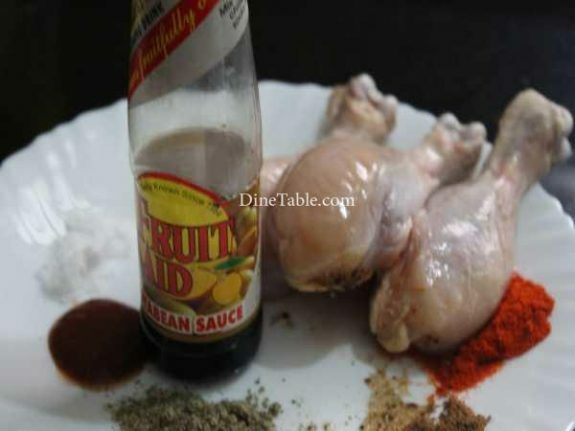 The fresh chicken legs must be marinated with the spices paste and keep for at least 2 hours. Chicken legs also offer some health benefits because of their vitamin content. 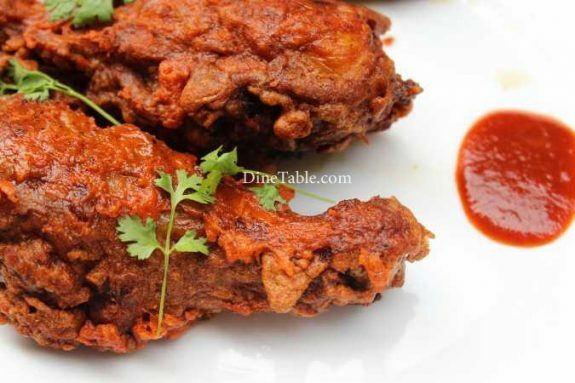 Try this spicy and simple recipe. Clean and wash the chicken legs. Put slits on the chicken legs. Take a bowl and add ginger garlic paste, red chilly powder, pepper powder, garam masala, lemon juice, soya sauce, red chilly sauce, red food colour, salt and make a thick paste. Add the chicken pieces into this prepared paste and marinate well. 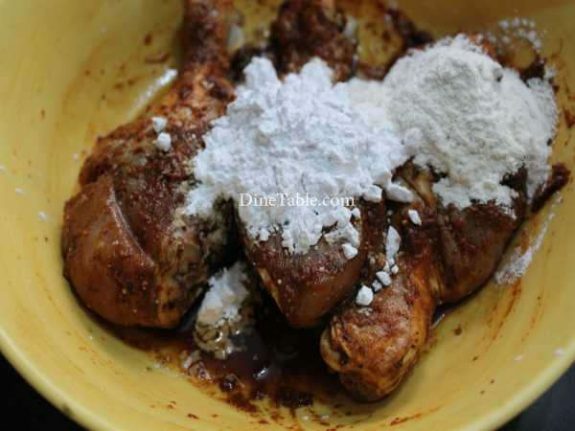 Set aside for 2 hours. .
After 2 hours, add corn flour to the marinated chicken and mix well. 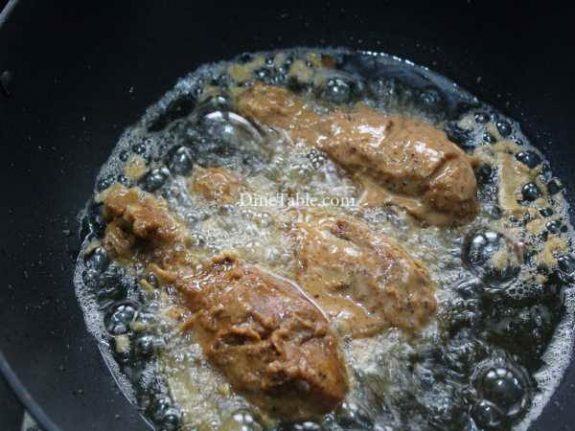 Heat oil in a pan and fry the chicken legs till it turns crispy. 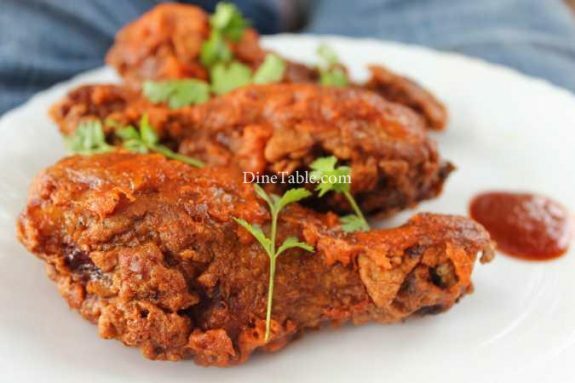 When chicken is fried, remove the chicken legs to a kitchen tissue and allow to drain all excess oil. Switch off the flame. 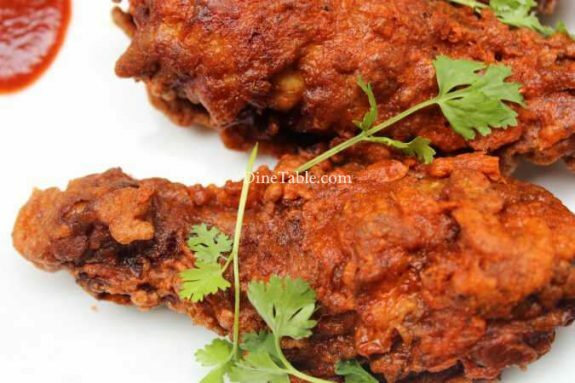 Yummy Chicken leg Fry is ready.